Buy 1 for $13.53Buy 2 / Save $0.72!Buy 3 / Save $2.71! Horsetail is utilized for kidney and bladder stones, wounds and burns, urinary tract complaints. In traditional health, Horsetail can be used to help support hair loss, tuberculosis, profuse menstrual bleeding, brittle finger nails, accumulation of water, rheumatic illnesses, painful inflammation of the joints, swelling, fractures, frostbite, and nasal, pulmonary, and gastric bleeding. It effectiveness for these disorders has not been tested. Horsetail gets its name from the bristly appearance of its jointed stems. Its capacity to draw extra water from the body makes it handy for getting rid of bacterial infections and kidney stones from the urinary tract. The plant is located thru most of the north of the equator. Only stems amassed through the summer season are medicinal. Horsetail is also known as Shave Grass, Bottle-brush, Horse Willow, Paddock-pipes, Pewterwort, Scouring Rush and Toadpipe. Do the capsules work as well as the tea or does it have a different outcome? 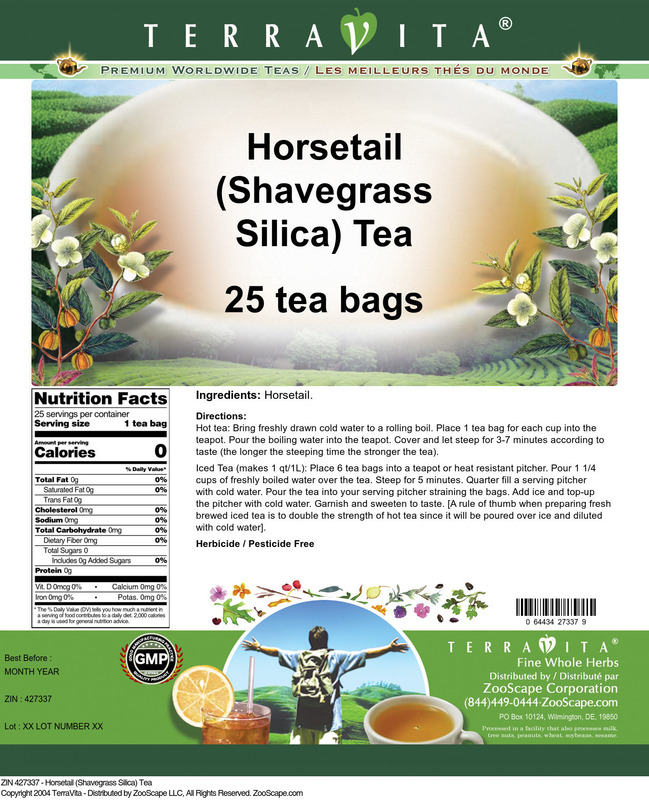 Both Horsetail capsules and Horsetail tea do produce the same effect. The choice of one of the other is more of a personal preference. Capsules are the herb itself that is ground into a powder and then encapsulated in a gelatin coating. It does require more effort for the body to break down the capsule, thereby making it take longer than a tea for the body to absorb the actual active ingredient. Teas are made using a cut version of the herb and as it remains in liquid form for consumption it is absorbed into the body more easily and quickly. Hot tea brewing method: Bring freshly drawn cold water to a rolling boil. Place 1 tea bag for each cup into the teapot. Pour the boiling water into the teapot. Cover and let steep for 3-7 minutes according to taste (the longer the steeping time the stronger the tea). Iced tea brewing method (to make 1 liter/quart): Place 6 tea bags into a teapot or heat resistant pitcher. Pour 1 1/4 cups of freshly boiled water over the tea. Steep for 5 minutes. Quarter fill a serving pitcher with cold water. Pour the tea into your serving pitcher straining the bags. Add ice and top-up the pitcher with cold water. Garnish and sweeten to taste. [A rule of thumb when preparing fresh brewed iced tea is to double the strength of hot tea since it will be poured over ice and diluted with cold water]. 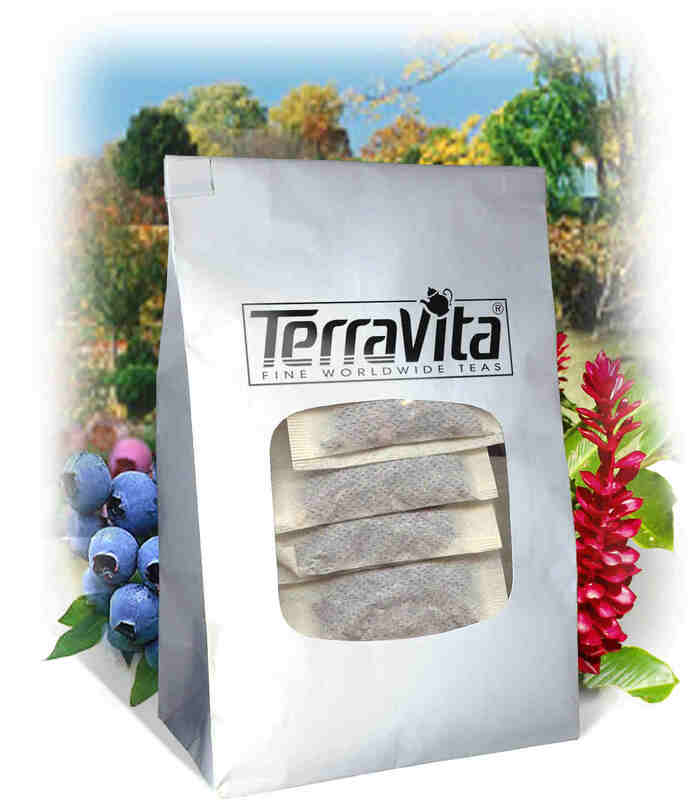 ZooScape is proud to be the exclusive distributor of TerraVita teas, herbs and supplements in the United States, Canada and around the world. Please direct all wholesale and bulk inquiries to Simona Heather at 1-844-449-0444. "Healing Urinary Tract Infections Naturally."